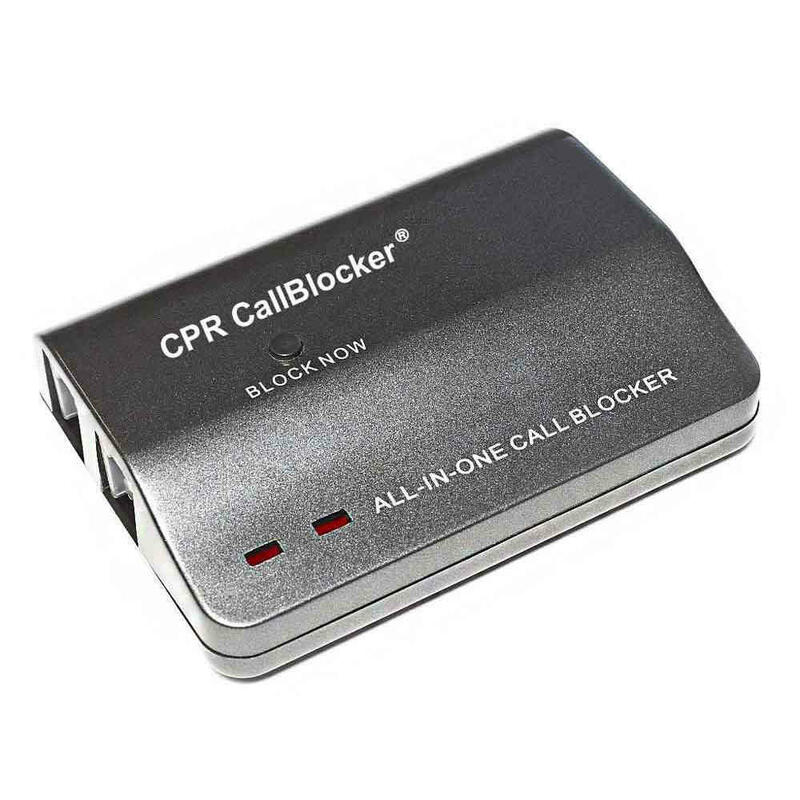 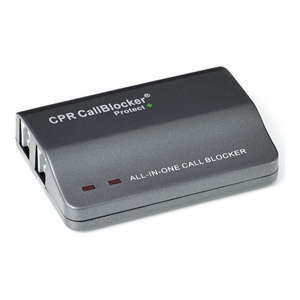 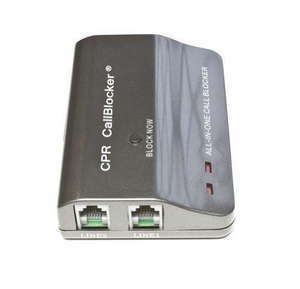 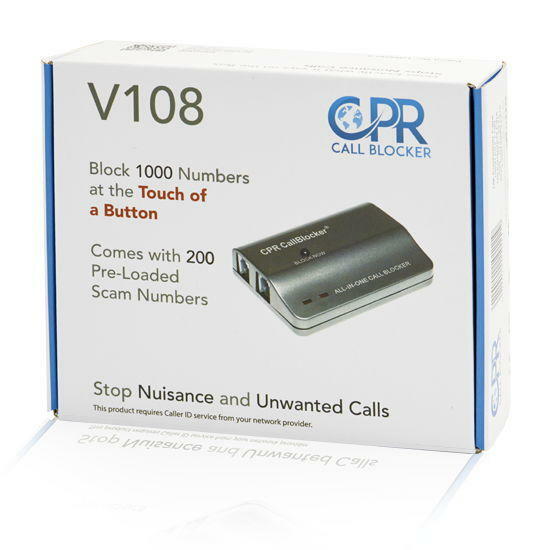 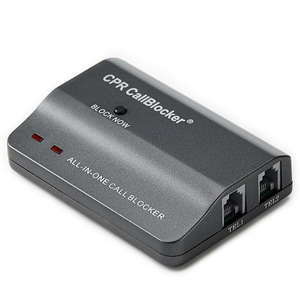 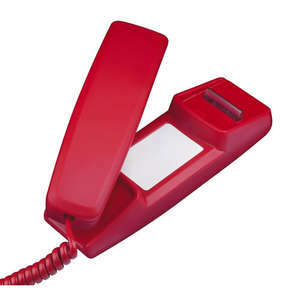 The CPR Call Blocker V108 is an effective method of preventing unwanted telephone calls. 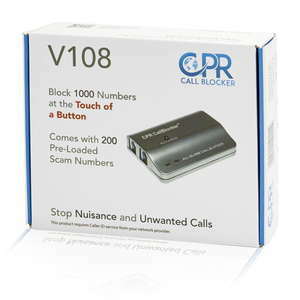 Preprogrammed with many known rogue calling telephone numbers blocked, the list used is from the Call Prevention Registry. Block a number by entering (#) 2 on any DECT handset connected to the telephone base. 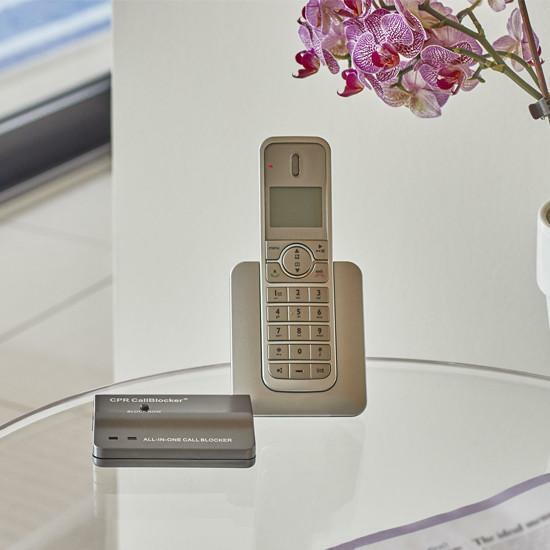 The device comes with all necessary wires, and is small & discreet.